Every year at the start of Spring I like to dig out or purchase a new fragrance to mark the occasion. I've been lusting after this perfume for a while and I was lucky enough to receive it at Christmas, but decided that I wouldn't use it too much until the warmer months. 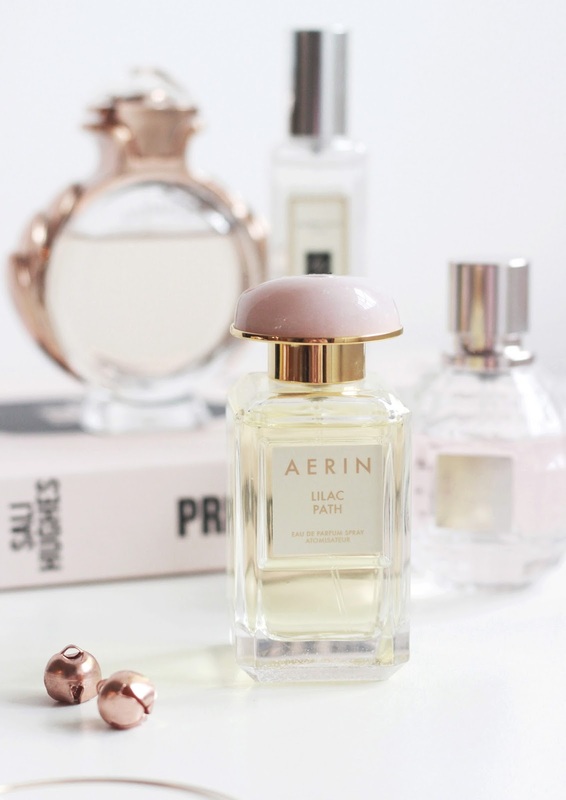 Today I am sharing with you my thoughts on the Aerin Lilac Path EDP. With a concoction of fresh blooms and crisp leaves, this floral scent is one of my all time favourites. Fresh galbanum, orange flower and jasmine lactones compose this floral fragrance which makes it feel very luxe and flattering to wear. You only need a few spritz for it to linger on your skin all day long and, as someone who tends to go through a bottle every three months, it doesn't seem to go down quickly either. Although the scent itself is gorgeous, you can't deny that the packaging is equally dreamy. With a blush pink stone on top and gold detailing, it'll not only make make you smell nice, it'll look great on your dressing table too! There's no denying that it's definitely a splurge and a once in a while treat, but I couldn't think of a better scent to take me through the Spring and Summer seasons. 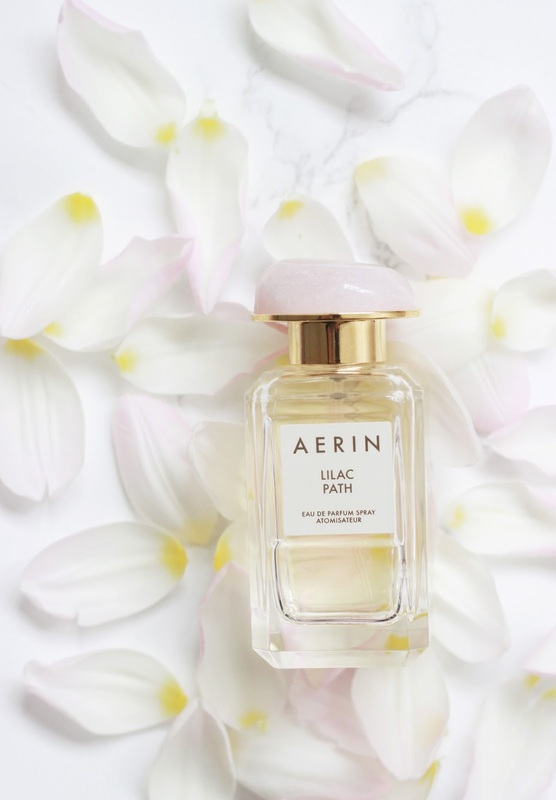 Have you tried any of the Aerin fragrances?